It’s the first week of December! Are you even remotely ready for the holidays? Have you thought about what you are baking? If not, I am here to help this week. Welcome to my 2nd Cookie Palooza. 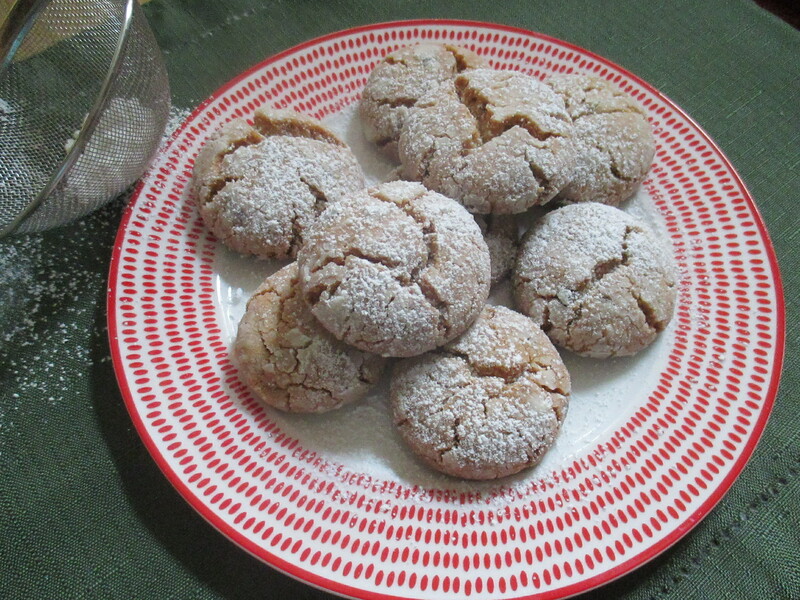 A week full of cookies… Kicking it off are Peanut Butter Crinkles. A twist on the more popular Chocolate Crinkles. Made with peanut butter – of course – and mini chocolate chips these cookies are rolled in granulated and confectioners’ sugar for a little extra sweetness prior to baking. If you’re craving more chocolate in your cookie opt to use regular size chocolate chips as opposed to the mini ones. You do get a chocolate taste with the mini ones, but, it’s more of a hint so little so that you wouldn’t miss it if you omitted them from the batter completely. Position racks in the upper and lower thirds of the oven and preheat to 350 F. Line two baking sheets with parchment paper. Whisk the dry ingredients – flour, baking soda, baking powder and salt – in a medium bowl. In another bowl, beat the butter, brown sugar and peanut butter with a mixer until creamy on medium speed. Increase the speed to medium high and beat until fluffy. Add the egg and vanilla extract and continue beating until combined. Reduce the speed to low and add the flour mixture, beat until well blended. Add the chocolate chips and beat until combined. Put the granulated and confectioners’ sugar in separate bowls. Roll tablespoonful of dough into balls and then roll in the granulated sugar and then the confectioners’ sugar. Place on the prepared baking sheets 2 inches apart. Bake 15 to 18 minutes, switching the pans halfway through, until the cookies are firm around edges and cracked on top. Let cool a few minutes on the baking sheets before transferring them to a wire rack to cool completely. Dust the cookies with more confectioners’ sugar if desired.